Can you imagine having a crush on a food item? No? Let me tell you it happens. I have a crush on Granola. There are few other things that I would eat over and over again every day and even several times a day. Actually, aside from Granola, I cannot think of anything else that I could eat with that consistency over months and years. I have been making my own granola for about 3 years now. 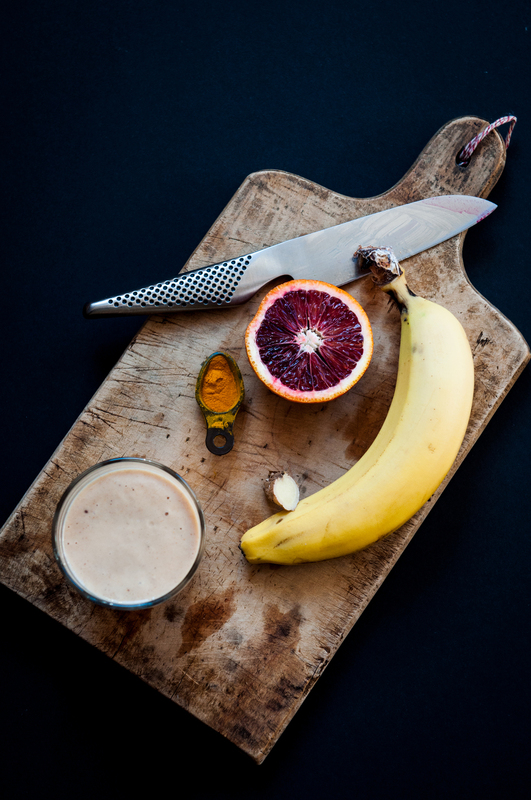 Once you start, you simply cannot go any other way, just like making almond milk at home. It is so easy, simple, good and amazing to make at home that it is an outright irrationality to buy the markedly overpriced equivalents from the store. And, obviously it has the advantage of customization and tweaking the amounts of sweet and savory and all that fun stuff. After several trials, I realize that I love cashews in my granola. I actually do not like cashews much at all. But, I find it an ideal nut in the lightly sweetened roasted form with oats. See, you also identify some quirky things about yourself when you make food at home. I also have a thing for coconut flakes. Especially, the over roasted ones. Don't ask me why, I just do. Then, I like a bit of dried fruit, either cranberries or raisins. I don't really like them just raw nor do I want them charred and crisped in the oven. So, I figured out a way to just plump them with heat without browning them. Cool eh?! Oh! I love rolling in some jam or marmalade or nut butter in too. They add flavor. I never add extracts and much prefer natural flavors. Finally, I think seeds make the granola! They are nutritious, full of flavor and best of all, cheap!! Way cheaper than nuts and way better for health. My favorites are pumpkin and sunflower seeds. They are awesome with that satisfying crunch leading to chewiness. What better way than to start with a little happy?! And, a perfect golden granola is one of life's simple pleasures that make a day seem better even if you got out of the bed the wrong side. 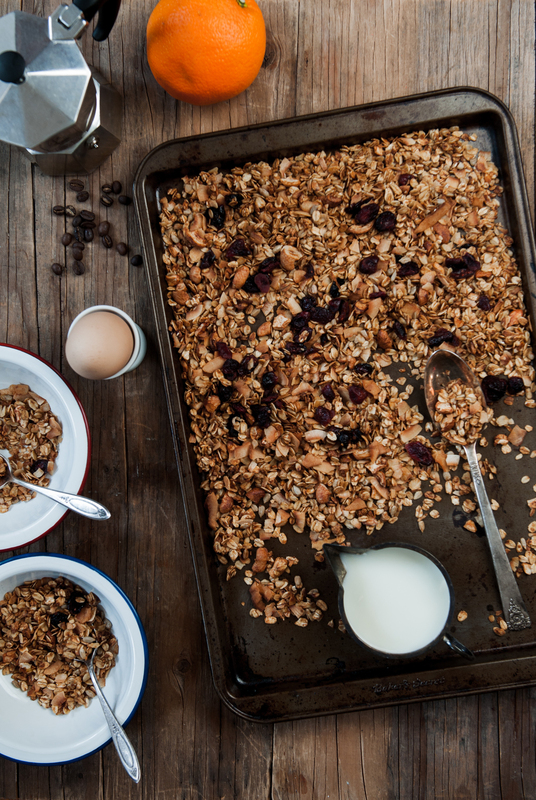 Today, instead of an actual recipe, I am sharing a few tips of making sure you have the best granola on hand anytime. When I make granola, three things are important - flavor, texture and cost. They are not a linear function and some are easier to control than others (viz. cost) and trade-offs are inevitable. My tips are intended to maximize whatever equation the three make with each other, effectively ensuring that the overall experience of eating homemade granola is far higher than even the best (and high priced) store bought ones. So, here we go. 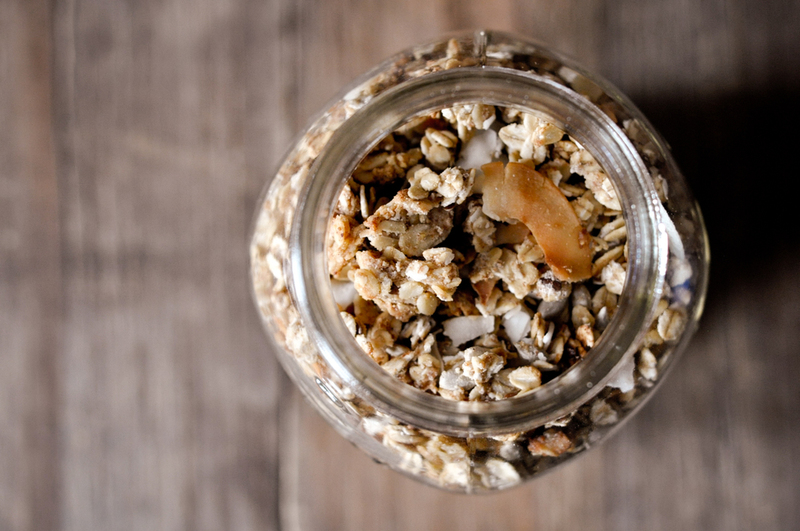 Tips for the perfect granola. Use a 2:1 oats to nuts and fruit ratio. That means for every 2 cups of oats, you should use 1 cup of a mix of nuts and dried fruit. This ensures the balance of crunch and flavor. Going further, I would say keep the fruits to less than a third of the nuts side of equation. Use a 2:1 seeds to nut ratio. This will keep the cost down while not taking away the flavor and actually enhancing the health benefits. Do not use fresh fruit. It makes the whole thing wet and makes for uneven roasting. It is totally not worth the hassle. I have tried banana, I have tried oranges and pears. They all have the same issue. The only one that has been decent is pumpkin puree or crisp apples diced small. Overall, it would be better adding fresh fruit atop the granola when you eat for maximum nutrition as well. Roast at a low temperature 300 -325F. This is actually very important. 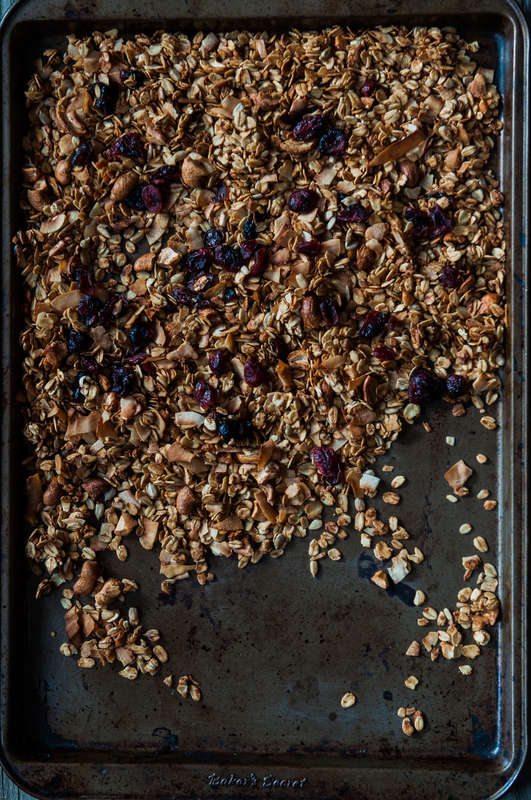 When I started making granola, I found recipes where the oven temperature varied from 350F to 400 F. I actually find that the best granola happens on slow and low roasting. So, I make mine at 325F and leave it in for nearly 30 minutes, turning it a couple of times during the process for an even roast. Doing so, gives an even tone as well as a satisfying crunch to the oats. Use atleast 2 T of fat for every three cups of the mixture. This can be either all oil or a mixture of oil and nut butters. If you are using the butter for flavor, you can definitely use more than this amount. Use raw sugar instead of white sugar. It caramelizes nicely in the baking process, creating an added depth of flavor and also requiring less sweetening over all. If you are using ground spices, do not roast them. Instead toss them into the hot granola as soon as it comes out of the oven. Finally, allow the granola to cool completely, away from source of warmth, before sealing into airtight containers.